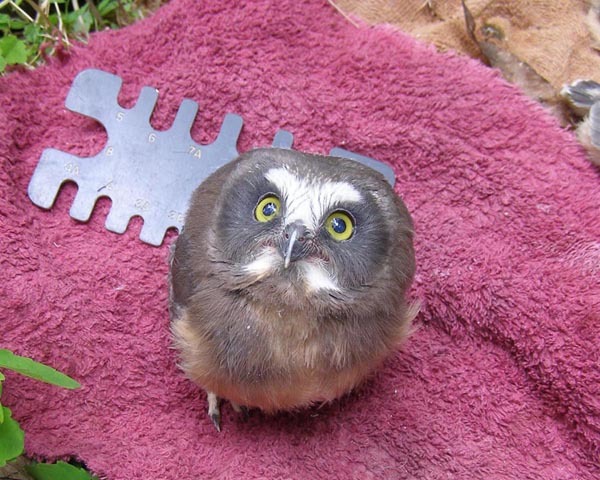 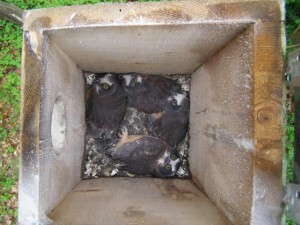 Photos accompanying the article "Rare Breeding of the Northern Saw-whet Owl in New Jersey in a Man-made Nest Box." 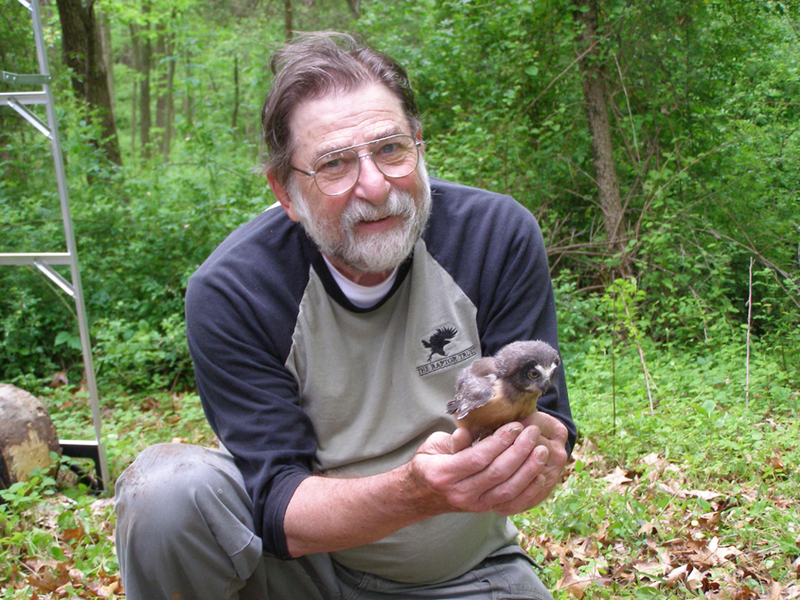 Written by Leonard J. Soucy, Jr., this appeared in 2013 in the North American Bird Bander Volume 38 Number 1 on pages 1-4. Click on any photo to see a larger version. 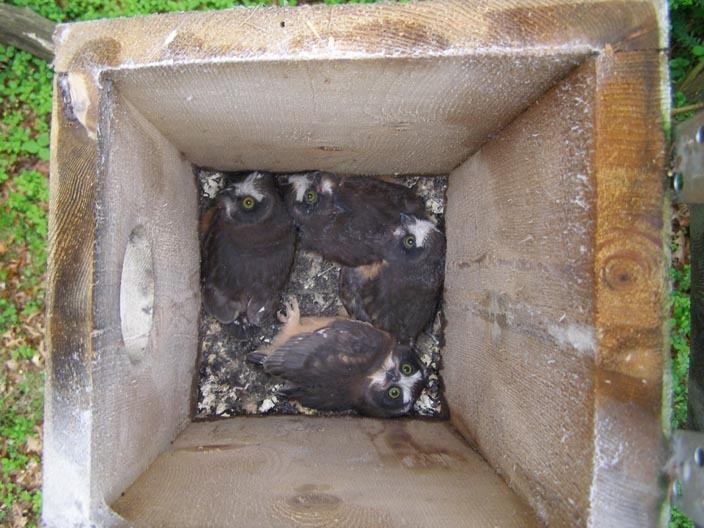 Four Northern Saw-whet Owl nestlings found in a nest box intended for Eastern Screech-owls and American Kestrels. 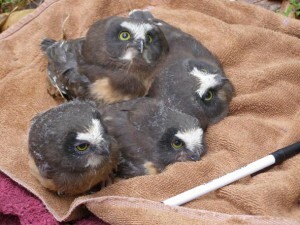 Nestling saw-whet owls removed from nest box for banding, and photographing; note the pen. 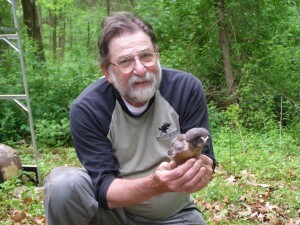 The author with nestling saw-whet owl.